I arrived at my designated time at the G.H. Mumm champagne house in Reims for my tour. I had the initial impression that I was going to enjoy my experience. The tour was 20 Euro for 2 tastes of different champagnes. I paid my money and walked into the seating area only to find 4 large sofas each with a snoozing man on it? Their feet were not up on the couch, per se, but up on the coffee table yes and 2 were snoring lightly. My eyes darted around to find the best spot to sit and I chose to stand and take pictures of anything I possibly could. Why let people sleep in a champagne house? It was very off-putting for me. Our tour guide arrived about 5 minutes late to begin the tour. The snoozing fellows woke each other up and about 20 of us were ushered into a theatre where we watched a 10 minute video on the history of the house and its’ founding fathers who were from Germany (von Mumm from Cologne). There were a few shots of the vineyards they own (218 hectares of which Pinot Noir is the dominant grape variety at 78%) and fast forwarded to their partnership with Formula 1 racing…it is a G.H. Mumm bottle of champagne that is given to the winner to open and spray over the crowd. The tour guide may have been my biggest issue of the tour. He made a few snide comments about what size a bottle a woman should have vs. a man. He also tried to throw me under the bus when I correctly answered a question that he asked to the group. 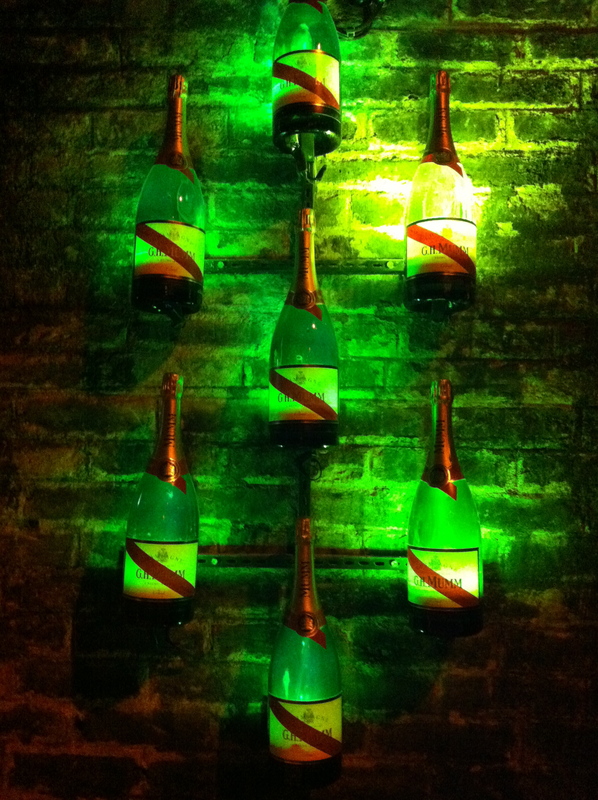 His question was “How many bottles can a Riddler riddle in a day?” My answer was 45,000 – 50,000 bottles (Veuve Clicquot). He laughed at me and got the group to laugh at me. Good times. They had no idea I was saying a correct amount…His response was, “Maybe your grand-father could do that many!” so I was waiting for the punch line of around 100,000 bottles for this super-human Riddler. And, he said, “Here at G.H. 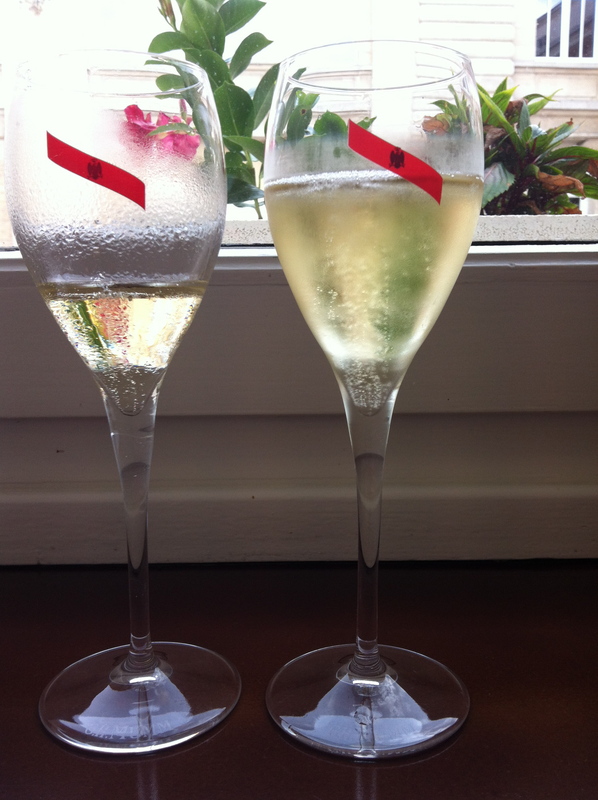 Mumm, we do between 38,000 – 40,000 bottles a day.” The tour group looked at him and then at me quizzically feeling the weird vibe in the air. Soldiering on, I learned that 80% of G.H. Mumm’s production is their “Cordon Rouge” non-vintage champagne and the oldest bottle they have at their cellar is from 1893. We ended the tour with a walk through a museum of sorts with champagne production machines dating back a century which was very cool and maybe was worth my money. As for the champagne, the Cordon Rouge non-vintage was made up of 45% Pinot Noir, 30% Chardonnay and 25% Pinot Meunier. It was crisp with a nice amount of body. I preferred it to Pommery but not over Veuve Clicquot non-vintage. I tried the 2006 vintage which was made up of 64% Pinot Noir and 36% Chardonnay. I was able to smell the age and developing notes that I love and it was full and clean and dry and full of dried apple and biscuit notes. Very good or a GGG “Hell Yes”. I, personally, would not recommend this tour. I would go instead to their excellent website and play around with their fantastic instruction sets for the service and all things champagne to do with how many flutes you get out of a 750ml bottle (6) to how to sabre a bottle open to pairing. An EXCELLENT piece of information for anyone. Loser guide guy. I look forward to next Wednesday. Well, not a very glowing review – I’ll be sure to skip this one when I go to France next year! Thanks! I wonder how many of the group looked up the info when they had a chance? Looking forward to the next installment!